We are delighted to announce that our 2019 holiday brochure is now available. 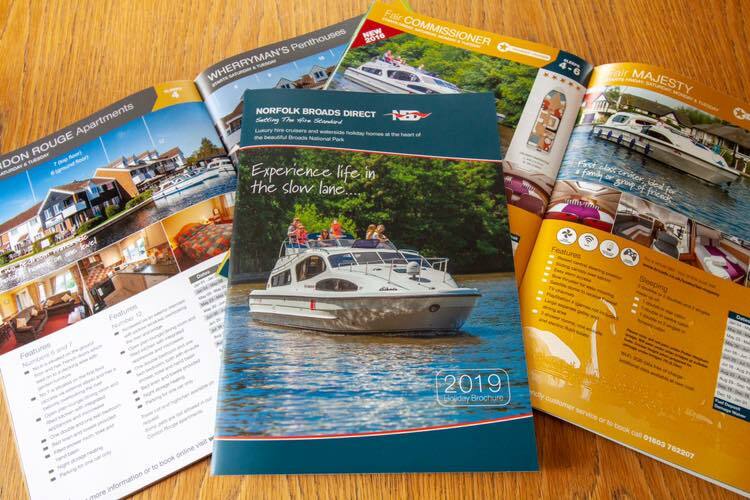 The colourful publication is sure to inspire you to plan your next holiday to the Broads with us. 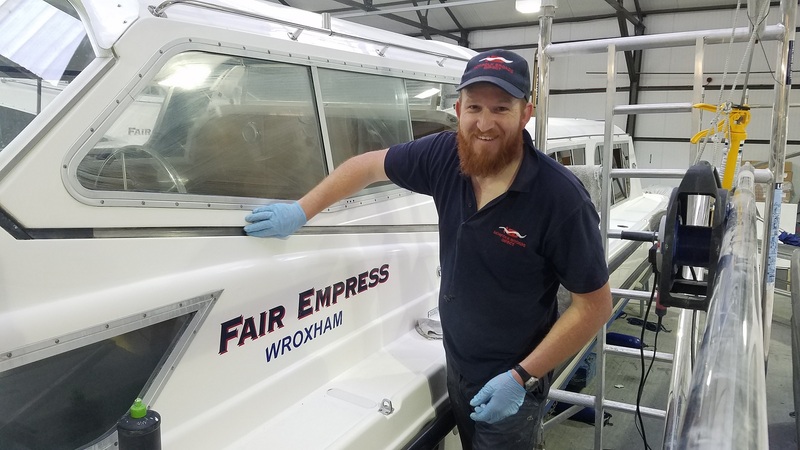 Very excitingly, it includes details of our all new Premier Cruisers – Fair Marquess 1&2 – which are being built by our team of boat builders to be available by Easter 2019. The luxury boats, which are designed for a couple, feature dual steering positions, a fantastic sundeck, spacious living area and a stylish cabin and bathroom. Will you be amongst the first people to hire them for your 2019 holiday? Whichever cruiser you choose for next year’s holiday our team are working hard to make sure that they look fantastic. That’s why we are craning out and restoring all of our boats this winter – but with 60 vessels in the fleet it’s no mean feat! 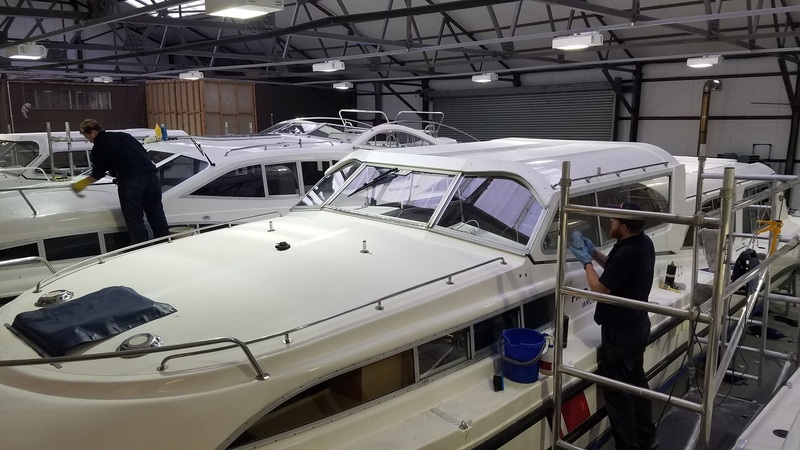 All of the outside surfaces of the cruisers above the waterline are being restored by compounding and polishing them with a special hand-held machine so that they look like new. Stickers are being replaced and the anti-fouling is being painted below the waterline. Our engineers will also be giving the boats a careful inspection so that they are in tip – top condition for the new season. While a few of our experienced, regular customers are hiring our fleet boats this winter, most of our staff are certainly in full winter maintenance mode!